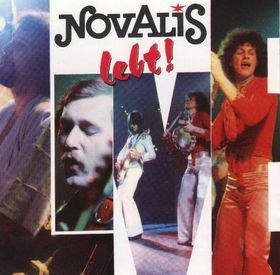 During the mid-seventies, the Hamburg-based band NOVALIS established themselves as leaders in the field of German-language romantic rock. 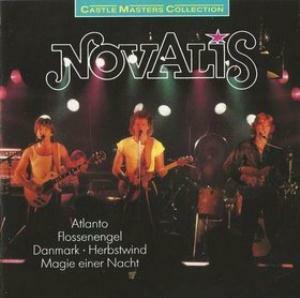 The quartet called itself NOVALIS after the most important German poet of early romanticism. They created a rock music of poetic, lyrical with german lyrics and instrumental beauty. Their music, a heavy organ rock, was compared to the sounds of bands such KING CRIMSON and PINK FLOYD. They released a few albums of lush, keyboard-dominant prog rock during the seventies. The keyboards created majestic layers on which the guitar builds airy melodies. 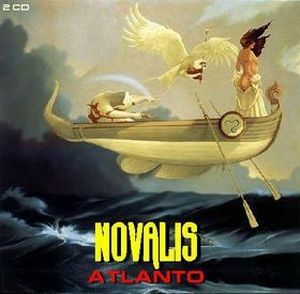 Starting with heavily organ-accentued art rock a-la KING CRIMSON (and on their debut, "Banished Bridge", including English lyrics), NOVALIS later developped their own unique style, a mixture of progressive, classic, folk and rock. "Banished Bridge" (1973) showed their KING CRIMSON influences... in a dreamy, laid back progressive rock. This 1975 self-titled album was their 2nd album and continues to show their own style take on these influences. 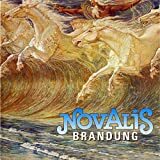 "Novalis" (1975) and the classic "Sommerabend" (1976), both are actually much better than the comparatively disappointing fourth album, "Brandung" (1977). They did very well down musically and commercial in the second half of the 70's. 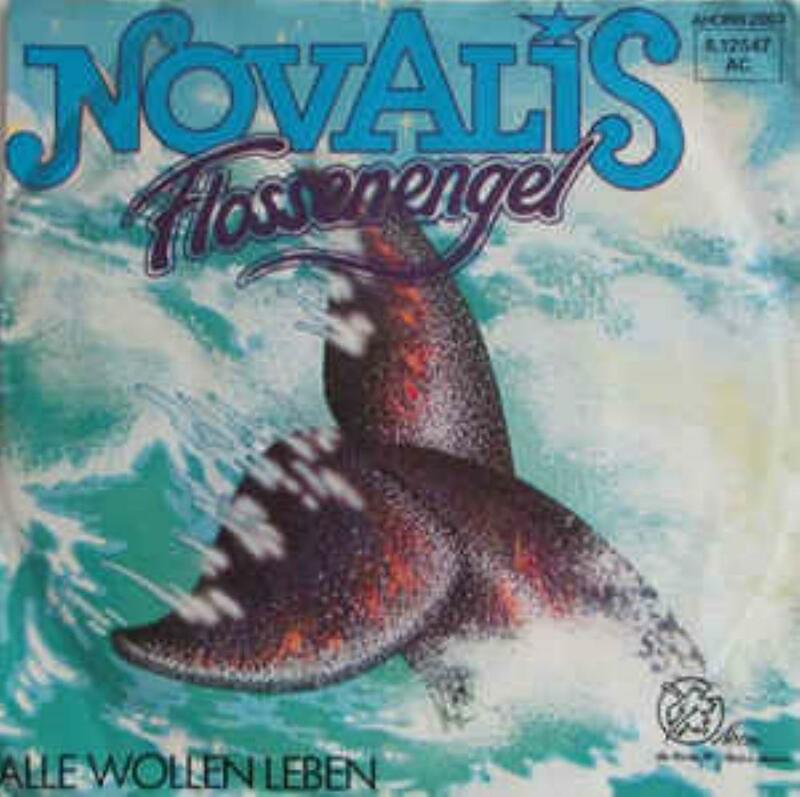 "Flossenengel" (1979) was the last good one. "Rock on Brain" (1978) is an excellent document of the first 6 (and best) years of this great band. 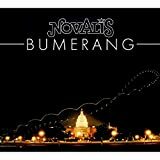 I bought this album at a progressive rock festival at Loreley in 2016 after a recommendation for a good album by Novalis by the merchant. The cover looked good, there were three tracks with over 6 minutes so I bought the CD. I gave it a chance despite the year 1979, which was generally a decline in the history of progressive rock. The album is a mixed bag of decent, mediocre and terrible tracks. The pretty decent instrumental beginning is followed by some more simplified tracks with weak vocals that sometimes seem to be a parody to progressive rock. "Photograph" is a symphonic pop composition worth listening. "Walzer.." is the third interesting track on this album before things start going crazy. "Sklavenzoo" and "Alle wollen leben" epitomize the bad taste for creating hybrid music whose elements do not fit together - imagine some disco, hard-rock, rock, pop and progressive elements combined without much attention. "Rückkehr" does not fare much better but at least shows some instrumental dynamics. 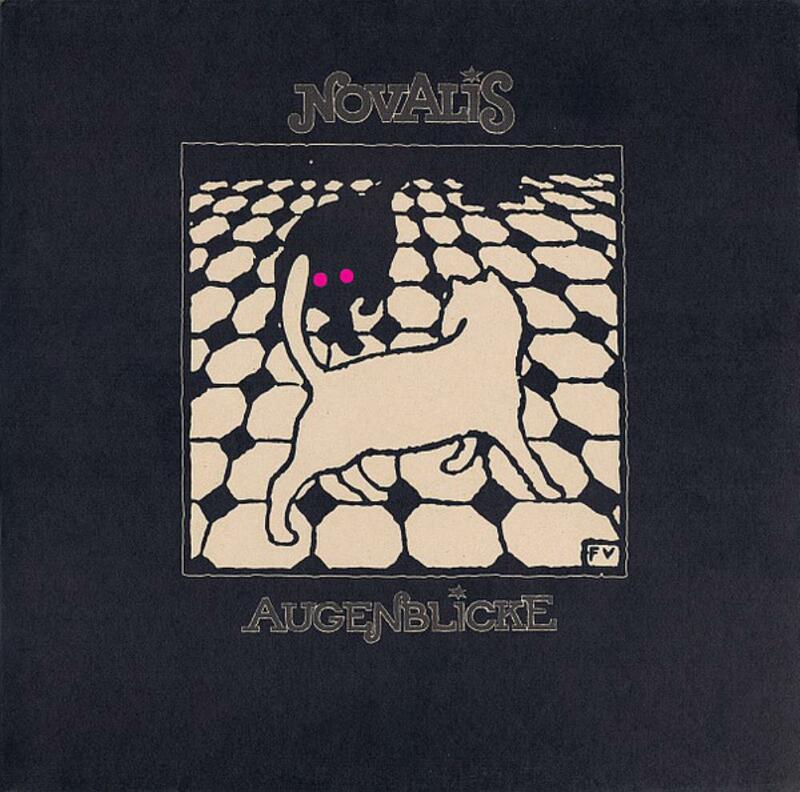 I can't recommend acquiring this album but if you are interesting in the German late 70's scene, go for it. I often went on a 'Krautrock' pilgrimage to the famous record store Saturn in the German city Cologne in the late Seventies/Early Eighties. 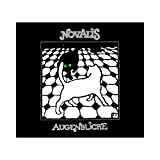 In those days you could easily buy complete LP collections of bands like Jane, Eloy, Grobschnitt and ... Novalis. I bought their live LP entitled Konzerte, still one of my favorite German progrock albums along Battlement by Neuschwanstein, At Home by Jane and Live by Eloy. 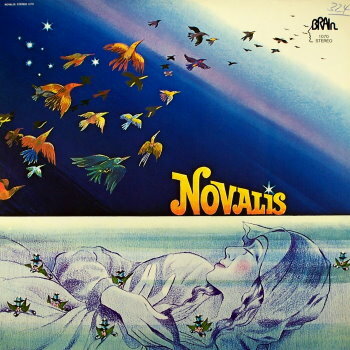 Novalis was founded in 1971, in 1973 the band released the debut LP Banished Bridge but then Novalis started to sing in their native language and in 1976 the LP Sommerabend even turned the band into a national known progrock band, followed by a serie of concerts all over Germany. 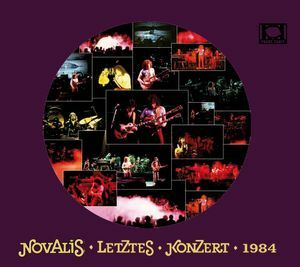 The spirit of Novalis on stage in that era is perfectly captured on the live album Konzerte, as a huge fan of live albums I am very pleased with their more powerful sound on stage, emphasized by the lush and omnipresent Hammond organ, often in great interplay with the powerful guitarwork. For the first time since the LP release in 1977, Konzerte is put on CD and we have to be grateful to Eroc for the wonderful job he did with the remastering. As I mentioned before, on Konzerte the Hammond sound and the powerful guitarwork are main ingredients: in the progrock 'n' roll parts the legendary album Live (1973) by Uriah Heep comes to my mind, how propulsive and bombastic, I love it! 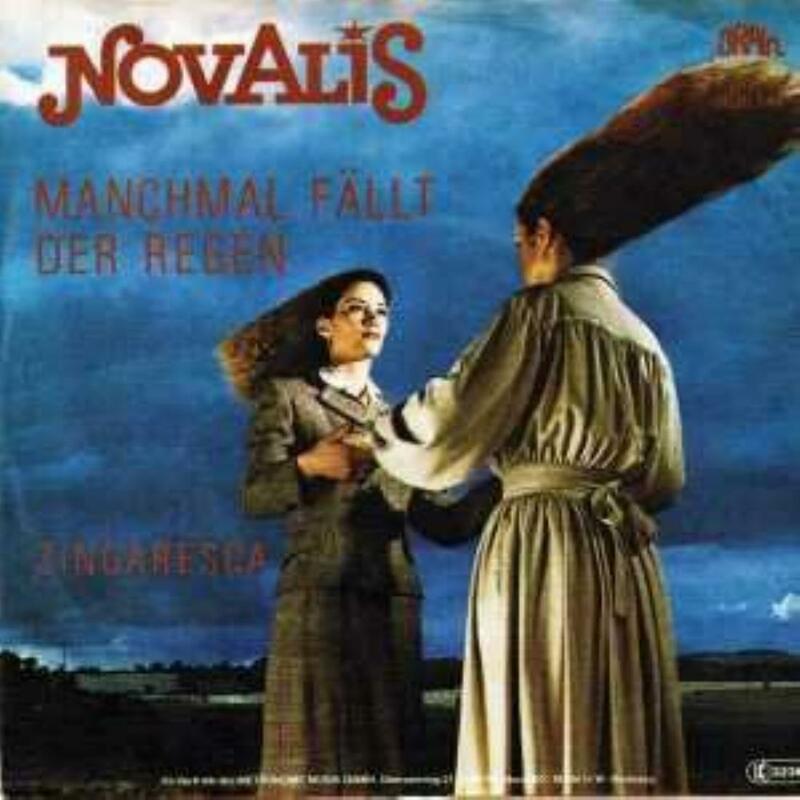 But the most distinctive element of the Novalis sound is the German singing. Especially in the more mellow songs with twanging guitars, soaring strings and flute-Mellotron, a captivating contrast with the more heavy and bombastic parts featuring fiery guitar runs and some fat synthesizer solos (like in the long and alternating compositions Wunderschatze and the beautiful Sommerabend). The three bonustracks (at about 15 minutes) sound varied: intense classical guitar, Grand piano and warm vocals in the wonderful Wenn Nicht Mehr Zahlen Und Figuren, a swinging rhythm and a cheerful climate in the a bit sloppy sounding Astralis and a tight mid-tempo in Irgendwo, Irgendwann that sounds 'chart-potent' but also deliver beautiful work on the Mellotron. This reissue in digipack contains a nice booklet with pictures and a history and 3 bonustracks, highly recommended! 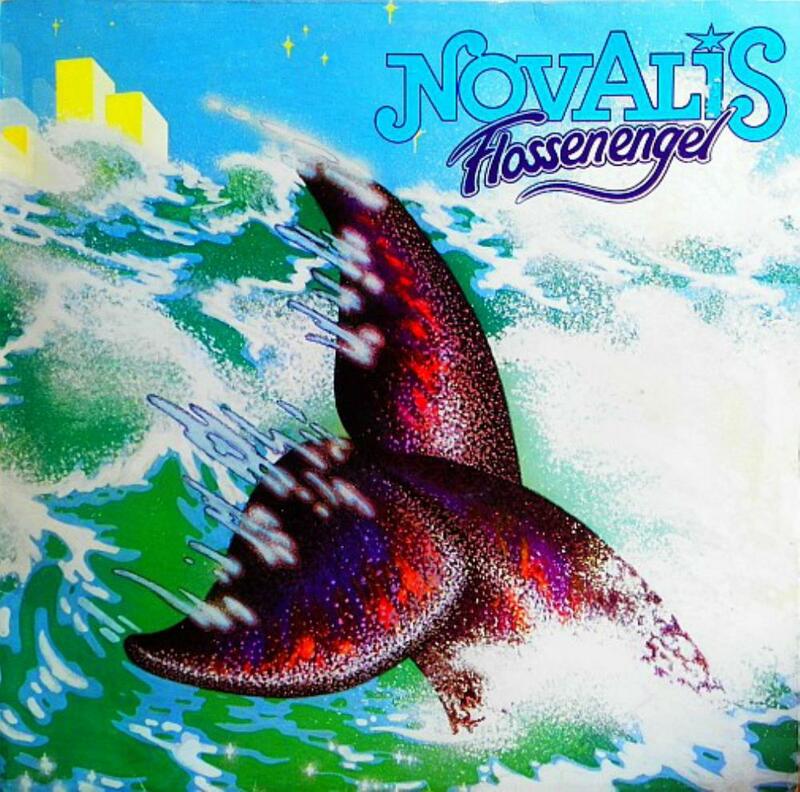 Novalis Flossenengel is a very hard album to review. Even trying to see it in the context of the period I found it hard to get what they really wanted with this album. After repeated spins my guess is that the band tried to please everyone, from old fans to the new generation, and the results, although not really a failure, shows some bizarre situations: the instrumentals are back, the opener being a fine example of what they do best: concise progressive music with melodic traits that appeals even to the non initiated. On the other hand the gratuitously aggressive vocal lines on most of the tracks ruins everything. It simply does not work and I´m still wondering why they did it (punk influences, maybe? Even if punk was pretty much on the wane in 1979). The exceptions to the rule are the spacey and long (8:38, quite bold for the time) Im Netz and the title track,. The former is probably the best tune in here, and it reminds everyone of how good they can be. The former is a bit folkish with an accordion accompaniment that is very nice and original. Unfortunately are all spoiled by the very bad idea of forced, angry delivering. they are surely no The Clash. Which is a shame since the songs themselves are, if not that good, at least passable rockers. In the end I guess there are more hits than misses in this album, but the misses are quite annoying and spoil the flow of the CD. I´ll give this one a 3 star rating although it should be really 2,7. Let´s see what they did next! My P.A. 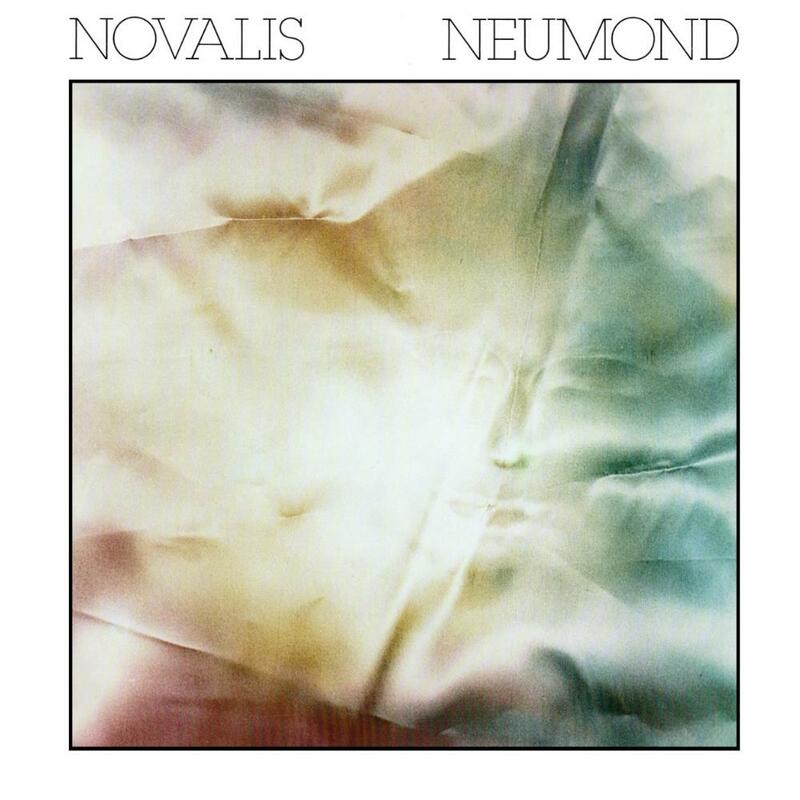 colleague and good friend Kenneth Levine claims that Novalis found its voice with this album. I am not sure if I totally agree with that statement, since I still haven´t heard much of their later material, but it is clear that Vielleicht Bist Du Ein Clown ? is a different LP of sorts. I supposed everybody thought they would embrace the pop market after the previous Brandung, but that was not what happened. Sure, the extensive, side long, opus are gone forever, but the prog element is still here. And if they were courting the charts they probably would not open the new album with an 8 minute+ song that is also drenched with mellotrons (who was still using that instrument in the disco dominated year of 1978?). The guitars are on the upfront here, but overall their sound became more fuller and richer than before. There are also two instrumentals, and the most "commercial" song of the entire album, the title track, has a very fine, Jethro Till-like flute solo (again, who was still playing the flute in 1978?). So, although they were not that symphonic or epic, they still have something interesting, different and good to offer to us in a time most prog acts were either stuck in a rut or gone commercial. I found their music to be melodic and accessible, ok, but also intelligent, elaborated and soulful. The last track, Die Welt Wird Alt Und Wieder Jung, where the vocals are accompanied only by a tickling piano is specially poignant, even if I don´t understand german. In the end I found myself loving this CD because it is obviously a labor of love. I admire their nerve to face the obvious commercial pressures of the time to release something so personal and different. There are no fillers, and the opening track Der Geigenspieler is definitely one of their best songs. If you lost any hope for them after the great Sommerabend, think it over. Rating: something between 3,5 and 4 stars. Not really essential, but very, very good anyway. After the magnificent Summerabend, the band decided to add a new singer. Fred Mühlböck (who algo plays guitar and flute) would join them for that tour and it was recorded for posterity on their classic Konzerte live album.However, this move would have much deeper consequences than it showed at first. 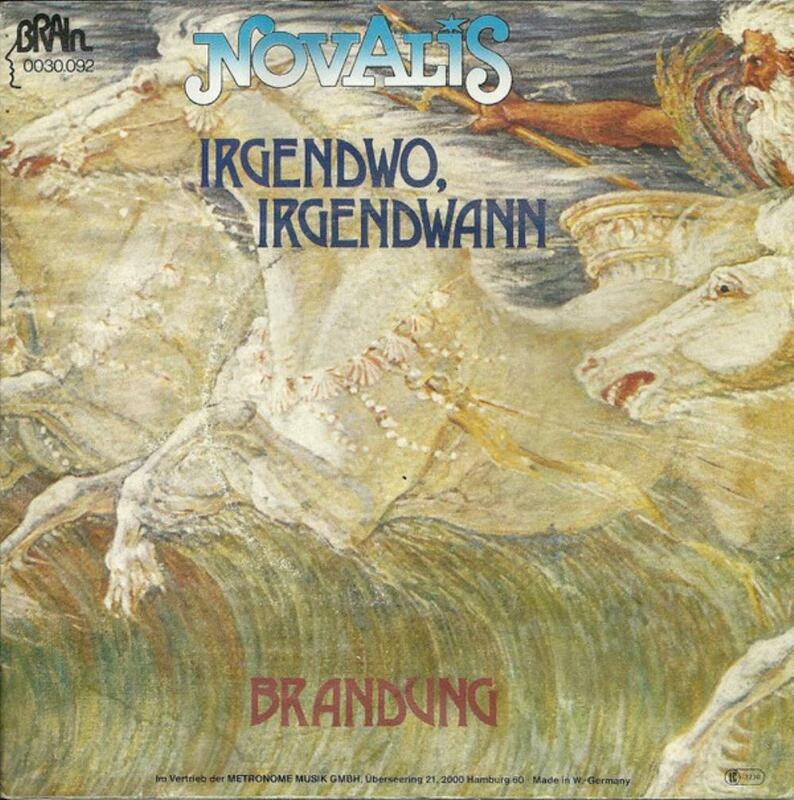 And 1977´s Brandung would prove the point. Although still a fine album it showed a unexpected shift of styles. The songs are shorter, popish and, for a band known almost as a semi-instrumental outfit, with a lot of vocals. In fact, the only instrumental piece we have here is the first part of the almost 17 minute suite Sonnenwende. And it lasts for just a little over 3 minutes. The opener Irgendwo, Irgendwahn must have shocked a lot of the most radical fans. This rocking, yet melodic number, set the pace for much of the songs in here. In hindsight is easy to say that the change of style had a lot to do with the acquisition of Mühlböck: the guy was not only a much better singer than anything the band had in this department before, but he also writes much of the songs himself here. And, let´s not forget that the year was 1977, the beginning of the "dark ages" for progressive music. Symphonic prog was on the wane for a couple of years already and now it was met with even hostility by critics and the new generation. 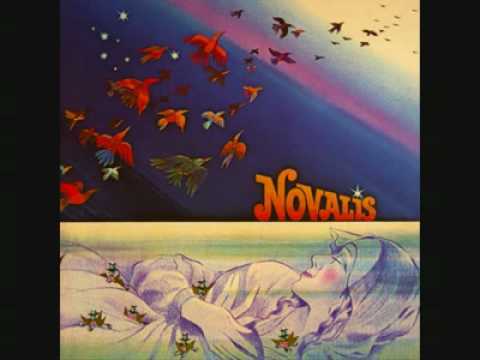 And Novalis was kind of late comer of sorts. Besides, their music was always melodic and simpler than most of their german prog counterparts, so it was a bit logical that they would eventually do something like this sooner or later. And I should say they did it much more gracefully than a lot of prog acts that tried to deliver simpler stuff at the period. For the songs are of high quality and Sonnenwende is still quite powerful progressive epic. Conclusion: this is obviously a transitional album, where much of their glorious past is present, although it is clear they were no longer interested in being labeled as prog anymore (something I doubt they even really ever aspired to be). 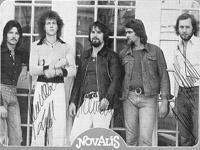 Novalis had no intention to take the world by storm (as they refused to sing in english after their first album). It seems they were happy to be local heroes and do what they wanted. And, let´s face it, they did it well enough. 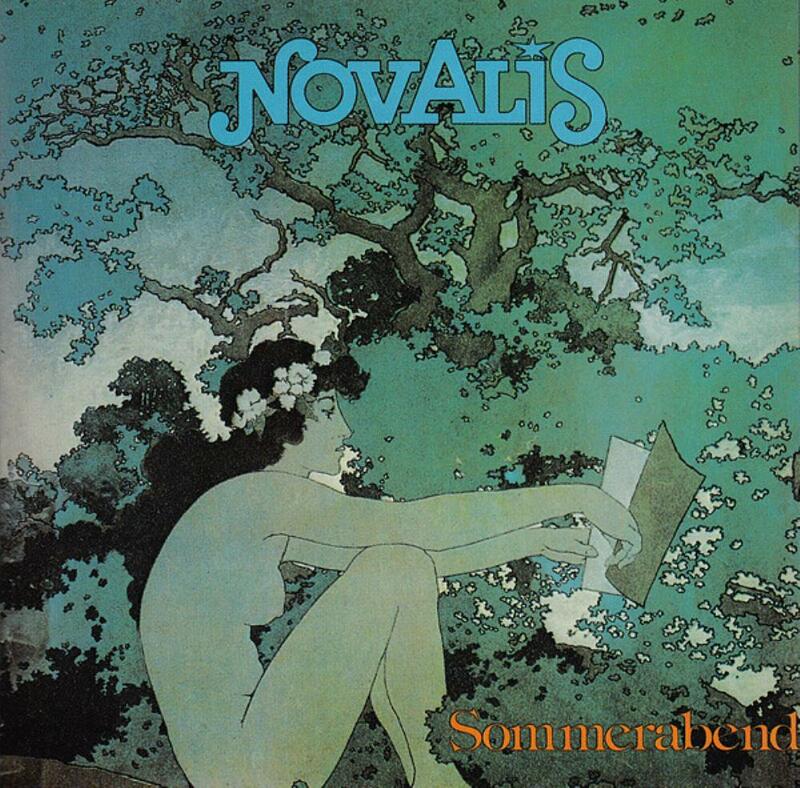 Sommerabend came just an year after Novalis sophomore record and pretty much follows the new pattern of the previous album: melodic symphonic progressive music with a soft, laid back tone, but their third effort comes even more sophisticated than Novalis (the album). Now reduced to one guitar player, the quartet delivers what is considered their best work to date, and I tend to agree with them. I think the CD fame is very well deserved. There are only three tracks: the instrumental opener is a 9 minute suite that is quite nice, although in the whole a little without direction and a main theme. It sounds a little like several small pieces put together. Good, but not that remarkable. However, the second one, Wunderschatze is definitely their most beautiful and poignant tune ever: along its 10 minute running time you have dreamy keyboards, a driving rhythm section over gentle acoustic and electric guitars, a soulful duet vocal and several mood swings that come and go smoothly until the grand finale. This song alone is worth the price of the CD. They never sounded so vulnerable and powerful at the same time. A real masterpiece of prog heaven. The third track is the self-titled Sommerabend, a 20 minute opus divided in five parts. Although never reaching the power neither the beauty of the previous track, it is a good symphonic epic that has several excellent sections. All ion all I found this LP to be extremely enjoyable and full of great moments. Again the only weak point here is its short time, even a little longer than on Novalis (1975). However, if you like good melodic, laid back and strong symphonic prog you must get to know this album. 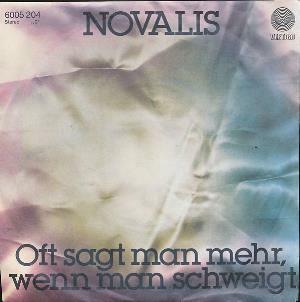 Without almost any experimentalism or quirkiness of so many countrymen at the time, Novalis is hardly what you might expect from a Krautrock band of the 70s, but they did an excellent job in terms of beautiful music anyway. And this is probably their most accomplished progressive work ever. 4 strong stars, no less. 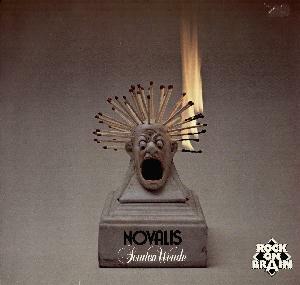 German band Novalis came back two years after their relative insipid debut with a superb sophomore work. 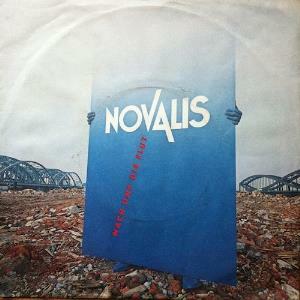 It is n coincidence that they decided to entitle this LP after their name, like so many new bands do: the Novalis ofd 1975 is completely different from 1973´s Banished Bridge. Gone is singer Jürgen Wenzel (bassist Heino Schünzel took over vocal duties), and, more importantly, they added not one, but two guitarists to flash up their sound: Detlef Job and Carlo Karges (ex-Tomorrow´s Gift), who also plays some keyboards. They also had a much better production job at the experienced hands of Achim Reiche (of Embryo fame, among others). 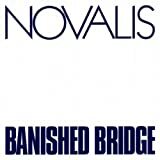 the result is quite astonishing compared to Banished Bridge: the once thin Novalis sound now is fuller and much more dynamic, helped by a combination of good guitar fillings, more mature compositions and better production. The decision of giving up singing in english was maybe a good one artistically, but it prevented them to break into the international market, specially in England and the USA, where prog bands, even if not as much as at the beginning of the decade, were still quite popular. 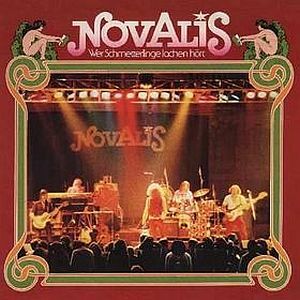 The music here is much more symphonic prog than on their debut and they already delivered at least two classic songs: Wer Schmetterlinge Lachen Hört and Es Färbte Sich Die Wiese Grün, both great epic stuff featuring several mood and tempo changes, terrific keyboards/guitar interplay and nice vocals, beautiful melodies and tasteful arrangements. I specially like some funky wah-wah guitar playing on some parts that make their sound quite unique (only Nektar seems to be using such device at the time). The remaining tracks are instrumentals that although not as good as the longer epics are also of high quality. My only gripe with this CD is its short time: only 35 minutes. It ends too soon and keeps me wanting more. 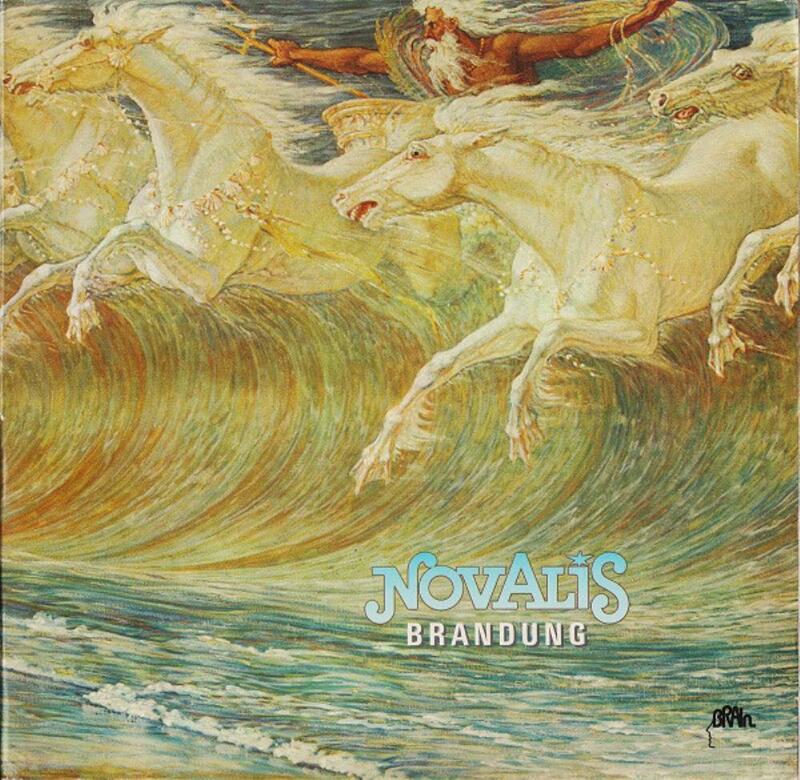 Conclusion: with their second release Novalis found its voice and delivered a beautiful symphonic prog album. Not really a masterpiece, but still an excellent addition to any prog rock music collection. Four stars. 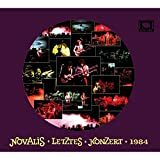 After listening to the magnificent remastered version of the Konzerte CD I decided to revise Novalis discography since their debut. Banished Bridge was released in 1973, and it is quite a good album for a unknown act. However, their music is far from being mature or unique: in fact they sound similar to a lot of early 70´s Krautrock bands and this is specially true with the title track: a 17 minute opus which is more or less like the remaining of the album: interesting, melodic, promising, but still leaving that kind of unfinished feeling on them, like missing something. Even some spoken words are featured on this first track, another Krautrock cliche of the time. It is also very short (37 minutes). You expect more from a new band. The most revealing absence is some truly guitar parts. Singer Jürgen Wenze is a good vocalist and plays a little acoustic guitar on two tracks, but clearly the instrumental parts, as good as they are with Lutz Rahn´s soaring keyboards and a good rhythm section, and unlike a band like Triumvirat that did not have much guitar and could get away without it, are in dire need of something extra. Also the songs all seem to be half cooked: good ideas that were not fully explored both in terms of songwriting and in musical performances. That does not mean they are bad, not at all. 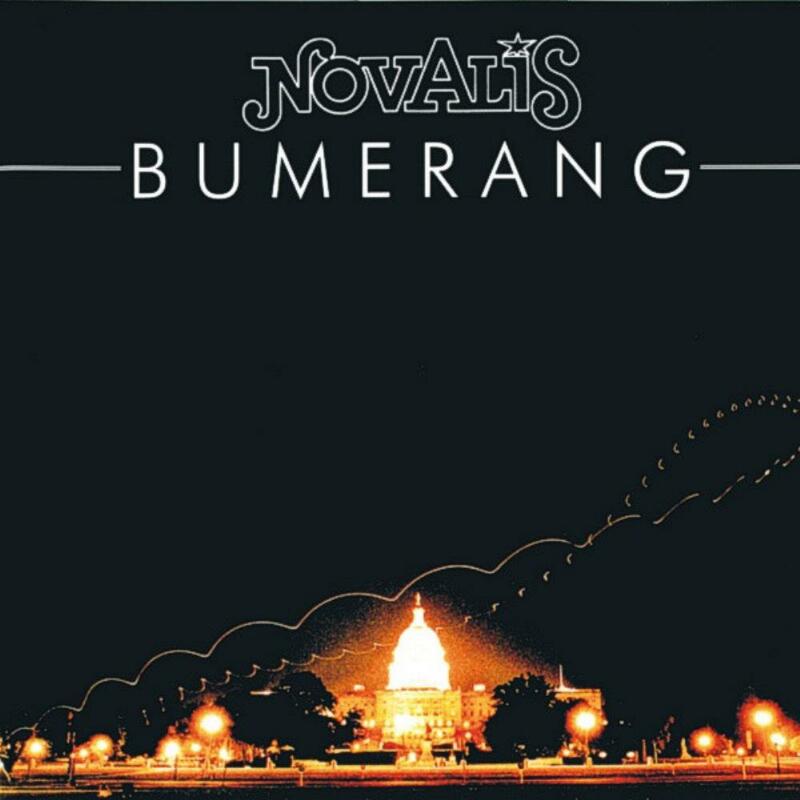 They are nice, but far from the Novalis we all know and love. Besides they are all sung in english, something they were about to change, The band would get a lot better very soon. Conclusion: a good starting point for this great band, but far from essential: 3 stars. 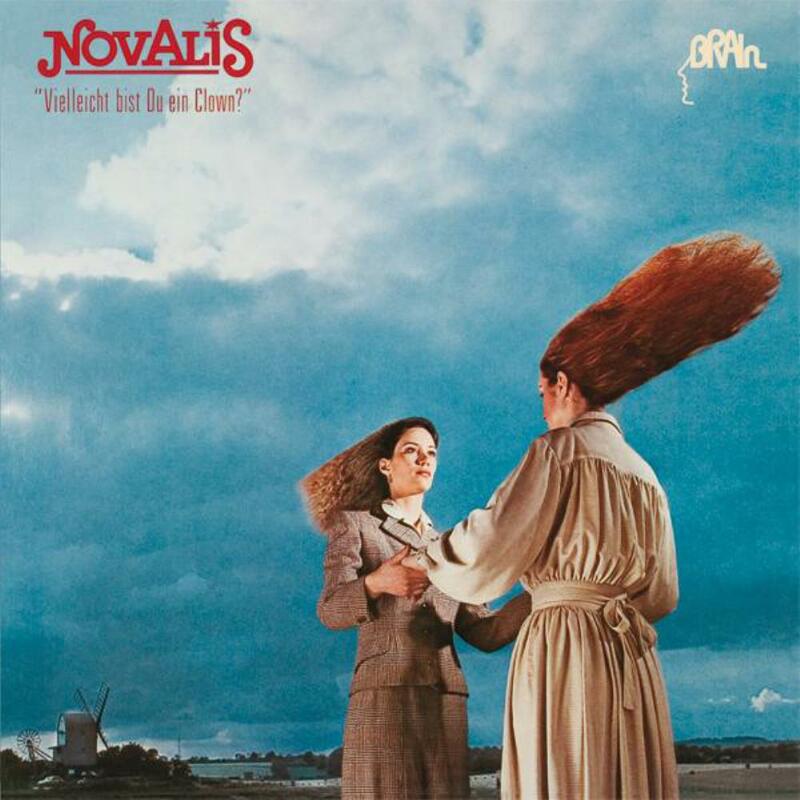 One of the reasons why I think Novalis never reached the status as one of the most important and original bands of the 70´s prog scene is fact that they never had a decent producer. Their albums always sound like recorded in a two track studio in a back of a long tunnel. When my friend Erik Neuteboom sent me this CD my impression did not change. But upon reading some of the reviews here I found out that there was a remastered version of this live album that was released in 2008. I went out to find it in hopes that they had fixed the old problem this time. And, fortunately, I was right. The new version sounds powerful and clear where the old one is thin and muddy. Besides, as a bonus, there are three extra tracks recorded an year later. So you really got the best of offer with this new edition. With 2008Â´s Konzerte , released by SPV, you finally hear Novalis in all its glory: a real terrific band that deserved to be better known by all symphonic prog lovers. Their music is simply divine, with all the elements that made progressive music so good at the 70Â´s: melodic, adventurous, creative and performed by musicians who know their trade. By the time they released this live album the former quartet had added to the line up singer Fred MÃ¼hlbÃ¶ck , who also plays guitar and flute. 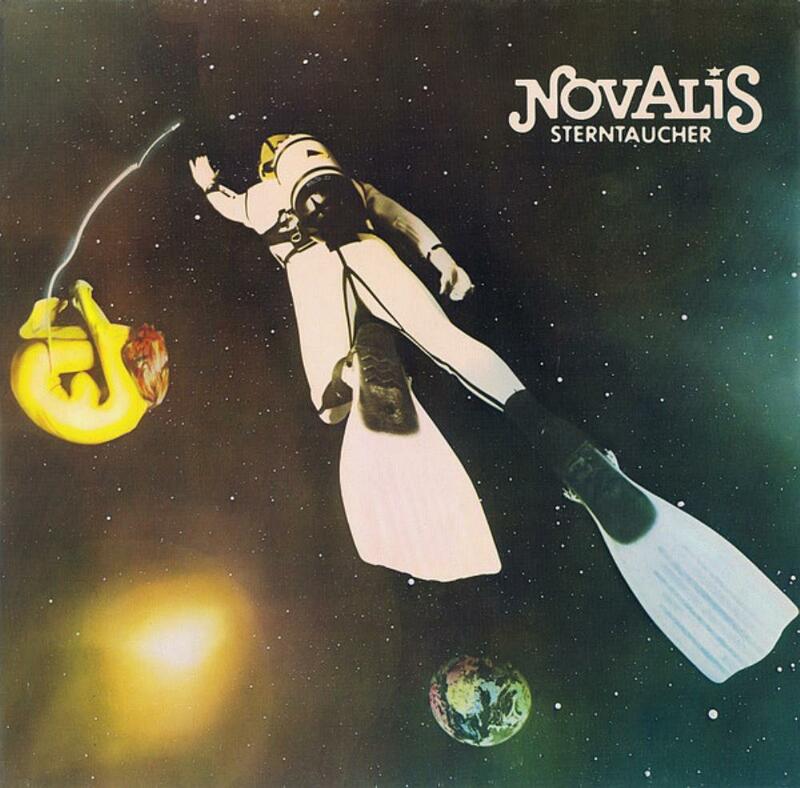 MÃ¼hlbÃ¶ck gave the band one of the few things Novalis really lacked (i.e. a good, professional vocalist). It is no wonder that some of the older material sounds better here than on their studio counterparts. 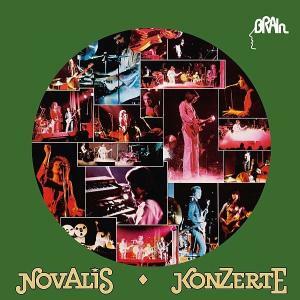 The tracklist is simply fantastic: after a short intro (that is a sample of RavelÂ´s Bolero), the band kicks in with the short instrumental Dronsz, on which the driving beat leads an organ heavy riff and guitar forward. After that you have some of the best examples of great symphonic epics in the form of tunes like Es fÃ¤rbt sich die Wiese grÃ¼n and Sommerabend. But, to me, the highlights are the long instrumental Impressionen and the beautiful and the absolute masterpiece of WunderschÃ¤tze, where you donÂ´t have to understand german to feel goose bumps when you listen to the emotional vocals and the seamless, perfect performance of all involved. Sometimes their music reminds me of great german bands like Triumvirat, Eloy and the dutch legends Focus, but for most of the time the songs, although sounding quite familiar, are very original and unique. Lutz Rahn is probably one of the most underrated keyboards genius of the world and the rest of the band is not far behind. The three bonus tracks area also a nice addition to the package: maybe not as perfect as the main course, but they are very good anyway. 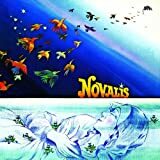 Conclusion: I was really, really glad to hear Novalis with a proper remastering that shows their music as it should be from the beginning. I have been listening to this CD almost non stop for the last two weeks and I still canÂ´t get enough of it. This is a prog masterpiece and IÂ´m happy to have found it. 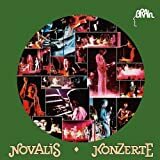 If youÂ´re new to this great band and loves 70Â´s symphonic prog do yourself a favor and get this remastered copy of Konzerte. You will be rewarded with 78 minutes of pure prog heaven. Rating: 5 stars, no less. A masterpiece of progressive music. Highly recommended! 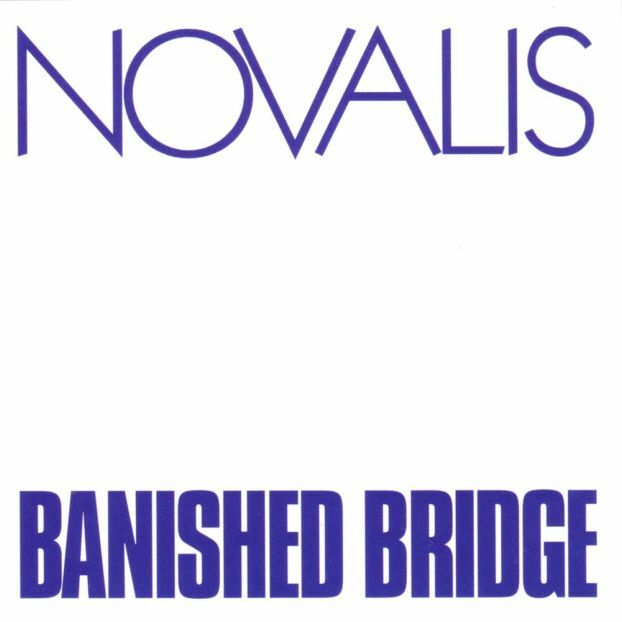 I quite enjoyed Novalis' debut album (Banished Bridge), but they lost me a little on their second album, which felt a little generic and directionless. On Sommerabend, they recalibrate and find a distinctive sound for themselves - a blissful, mellow style of symphonic prog that is much more peaceful and tranquil than prog tends to be. Influences from the likes of early Genesis can still be heard here and there, but if you are looking to rock out you're in the wrong place - follow the example of the lady on the front cover and take in the album on a sunny day, perhaps whilst on a walk through the forest.